If you are looking for a more organized life then you need to find ways in which you can reduce the stress and simplify your life. It is possible; often there are loads of different areas where you can simplify a few details to make your life easier and less stressful, you are organizing your life. 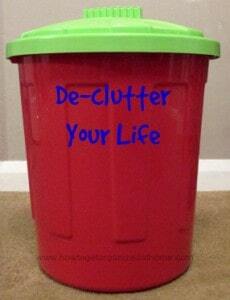 Eliminate clutter: it is a great area to start but it doesn’t just mean items around your home that you no longer need. Home organization can be the key to simplify your life. It is about mental clutter, which stops you from functioning because you have too much information. Write down important things and let your brain rest. It can also refer to the amount of activities that your family participate in, they bring stress and clutter of their own, from matches to play and dates to remember to kits that need washing, too. Limiting your family to a smaller amount of activities can reduce the clutter surrounding family life. Cleaning is about short bursts: there is little fun for most people in spending hours cleaning; it can make you feel annoyed and undervalued. Reduce the time spent cleaning, speed up the activities and this can make cleaning a breeze. Enlist the help of those that live with you to take on a few of the tasks too, ensure they know they need to act fast. Create space to breathe: this is looking at ways you can reduce your commitments and items. It is looking at giving you the opportunity to say no; it could be to another social event or someone giving you something, often it is because they don’t want to seem wasteful. Having the space to breathe can make your life so much easier and it can become a relief to many who feel obliged to say yes to everything. Simplifying your expenses can simplify your life: if you reduce the items that you buy, there are less things to clean and put away, and more money left in your bank to allow you to focus on the important financial decisions. It could be a way at reducing your debt or saving up for a high ticket priced item. Planning is the key to simplifying your life: it allows you to see the time that you have allocated to do tasks and can help you to complete them within the time frame. If you know you need to pick up a child from a game then you can prepare for the time in advance so you are not late and feeling rushed. Finding homes for the items you own is key to having a tidy home: It means you have enough space for the items and this can reduce the need for moving items to clean around things because there is nowhere for them to go. It isn’t about finding more storage, sometimes it is more about letting items go. When you buy more items it isn’t about how great they look, which they might well do, it is more about what items are now leaving your home. Selling items you no longer want and need is a great way to reduce the clutter in your home and to make some money too. Simplify your life, it is about getting a better quality of life: this can come from the contact with people who form your days. Make sure they are people who you want in your life and are people who you like. It is important that you live your life as happy as you can, if this means ending a toxic relationship, then it might make your life easier. Therefore, if you are looking to simplify your life then you need to take a step back and evaluate what you want your life to look like and put steps in place to make your life easier. Sometimes it is the only thing that stops me buying something new!